Let us help you train for employment in a clean, high-demand, manufacturing occupation! To attend an information session or to reserve your spot, please call 978-630-9883 or email manufacturing@mwcc.mass.edu. Mt. Wachusett Community College is currently operating on a US Department of Labor grant targeted toward youth (persons 17 -29 years). 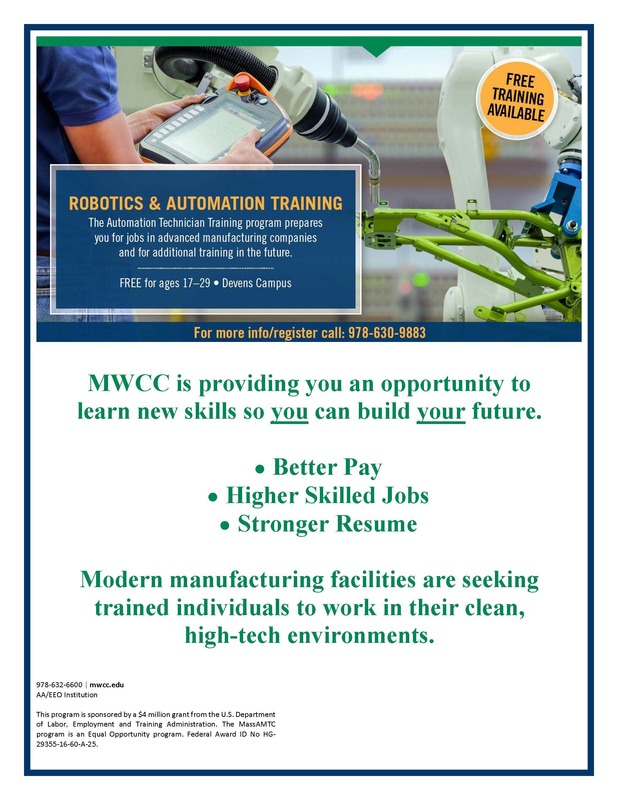 Per the grant, MWCC will be offering two 6-week programs in Quality Technician Training and Automation Technician Training. Provided the candidate meets the program requirements, the courses are FREE. Primary requirements are a HS Diploma (or GED) and being between the age of 17 and 29 years old. For individuals above this age range, additional funding would allow them to participate in the courses as well. Quality Training – Lean Six Sigma Yellow Belt Program, provides 100+ hours of training to prepare students for careers in a variety of manufacturing sectors, including medical device, aerospace, food and biopharmaceutical processing, as well as service industries. 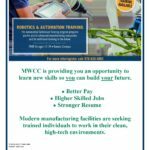 Robotics and Automation Technician Training, provides foundational knowledge for an entry-level manufacturing technician. There is a follow on Robotics Training offered fall semester that students can also gain access to through a credit course. 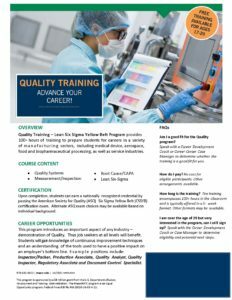 The next Quality Training – Six Sigma Yellow Belt Program will be April 16th and will run on a schedule of 4-days a week, 5 hours a day (9:00 am to 2:30 pm) Tuesday through Friday for 5 weeks, for a total of 100 hours. 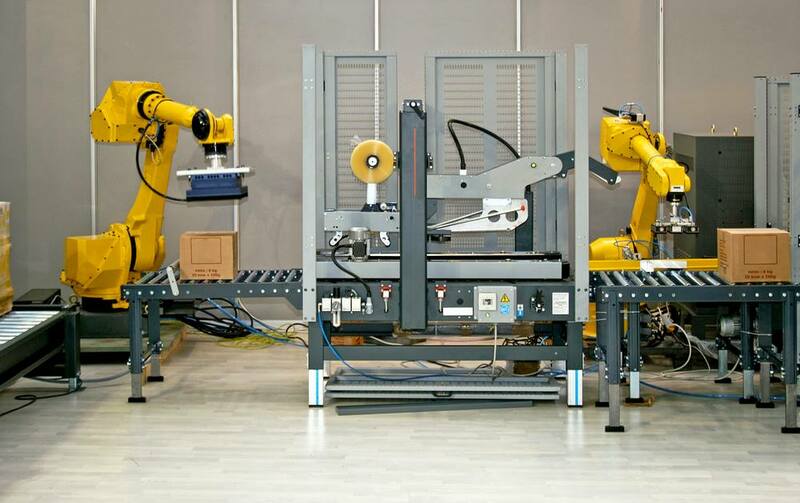 The next Robotics and Automation Technician Training will be March 26th and will run on a schedule of 4-days a week, 5 hours a day (9:00 am to 2:30 pm) Tuesday through Friday for 4 weeks. 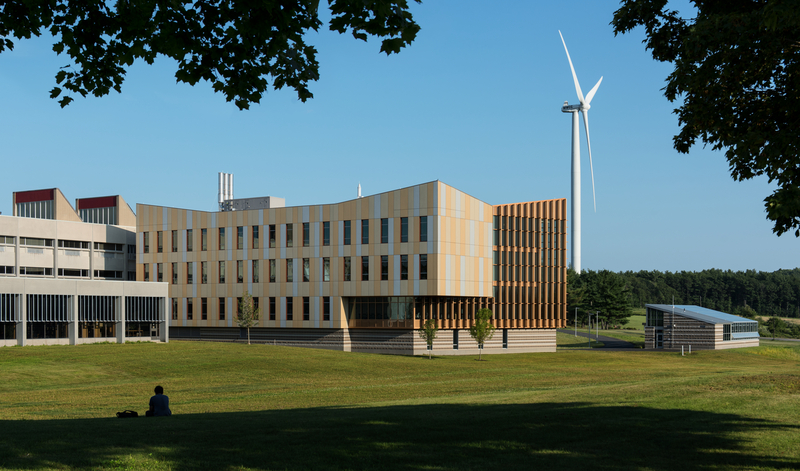 All courses are held on the MWCC Devens Campus at 27 Jackson Rd Devens, MA. Please call us at 978-630-9883 for future training dates. Above and beyond the immediate career path training, we offer additional opportunities to sit for national credentials, certifications, and additional course training. This program is sponsored by a $4 million grant from the U.S. Department of Labor, Employment and Training Administration. This program is sponsored by a $4 million grant from the U.S. Department of Labor, Employment and Training Administration. 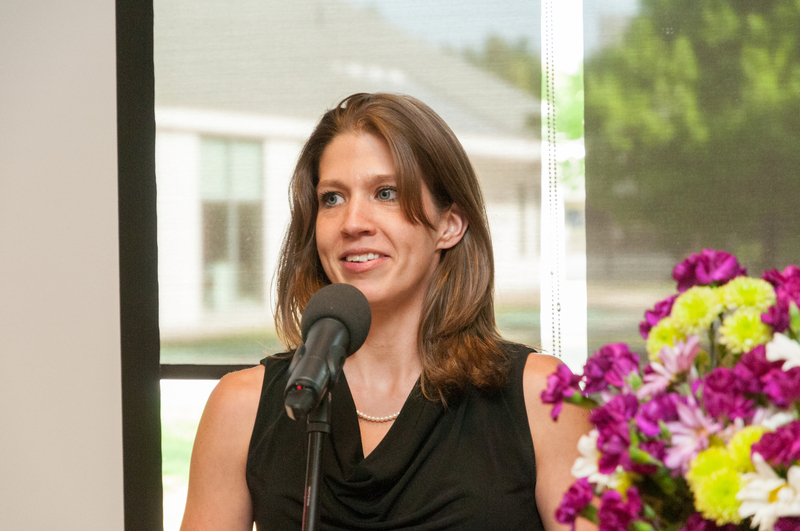 The MassAMTC program is an equal opportunity program. Federal Award ID No HG-29355-16-60-A-25.